Content writer for your business - one monthly payment, ongoing results! Make friends with your market! Ongoing monthly content, and you don’t have to do a thing! If Facebook is at the core of your online marketing strategy, you’ll have recently noticed a drop in organic reach. With so much online content to feast your eyes on, it’s impossible for the popular social media platform to show it all. 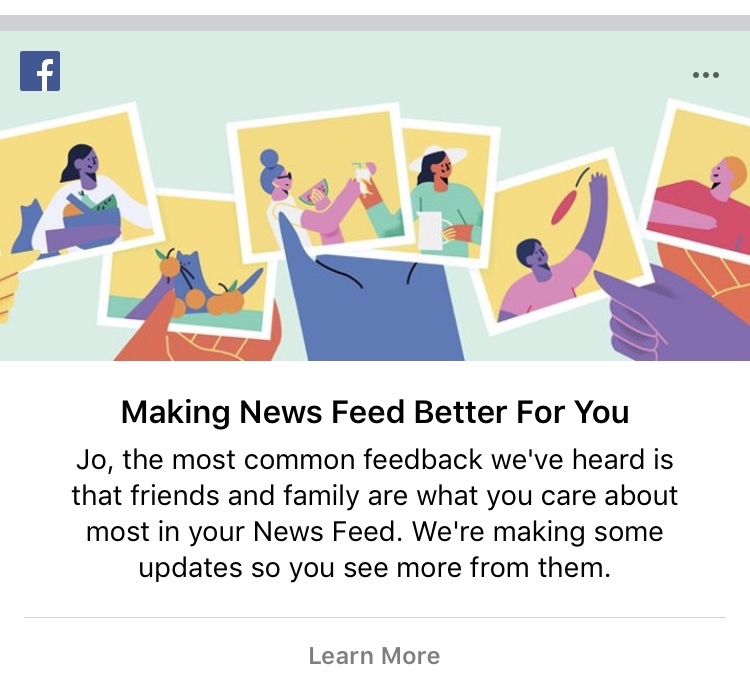 So, Facebook has made sure they’re keeping their customers happy (as you should be) and is responding to requests to show more posts from friends and family, and less from business pages like yours. You can resort to paid advertising. You can design and implement a resource-heavy content strategy that requires time and commitment to execute effectively. With neither of these options particularly appealing to most business owners, you might have put your content strategy in the too-hard-basket for now while you get on with running your business. But, lack of attention to your online content is detrimental to your business. We’ve got your content solution! 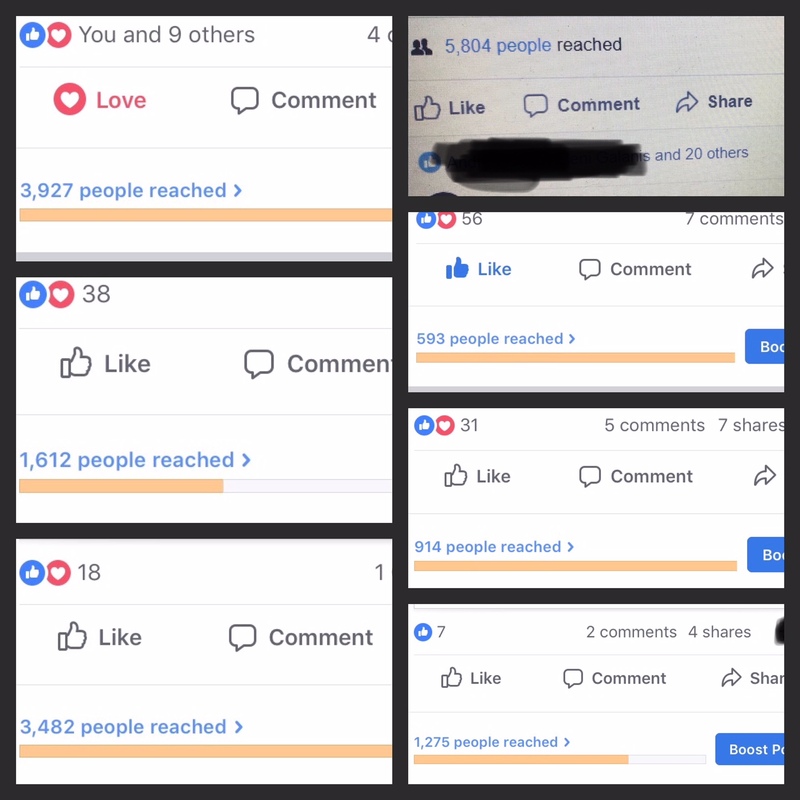 The Words and the Bees response to Facebook’s change in algorithm isn’t to give up. If Facebook wants to show more posts from friends and family, let Words and the Bees do the hard work and provide ongoing content that will build your online presence, nurture relationships and turn your target market into your nearest and dearest! (Right: Facebook notification from January 20, 2018). From boring, mundane same-same posts to unique, brand-focussed and original content. Coming up with new ways to entertain your audience is no easy task. Short attention spans and so much online choice means your content has to stand out. And you need to start by showing up. Regularly, consistently, and creatively. 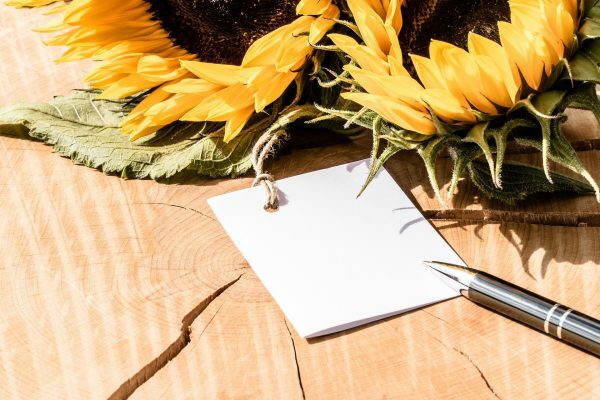 An ongoing monthly content package from Words and the Bees gives you a variety of relevant and captivating content that will hold the attention of your audience. We’ll provide engaging Facebook content and regular blog posts for your website to keep existing customers loyal while bringing new ones into the fold. 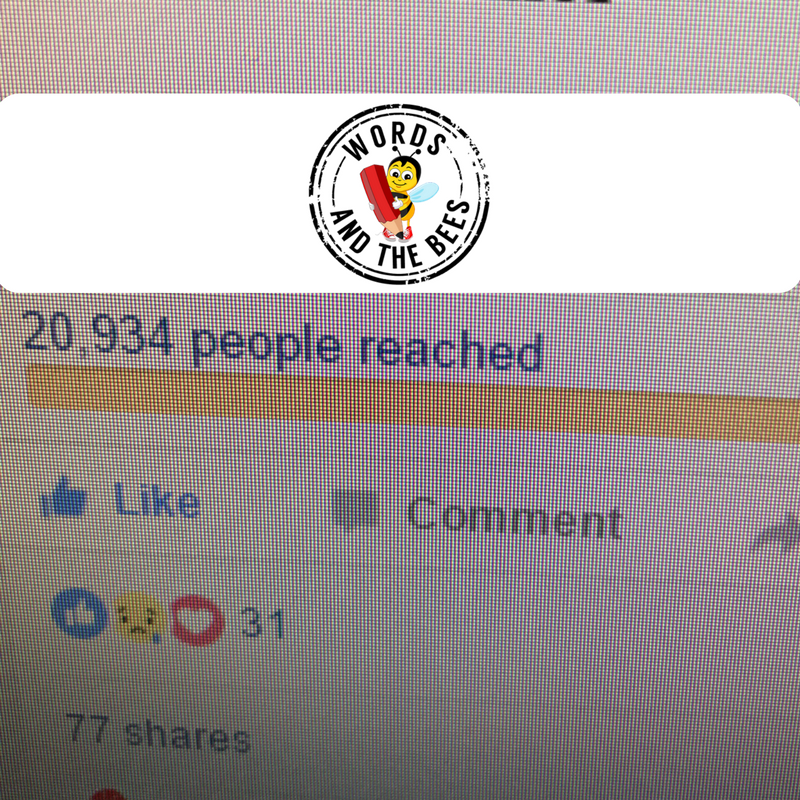 A Words and the Bees ongoing content package will meet your audience where they and turn them into your friends and family…just like Facebook requested! Ready to start building close relationships with your audience? Do you want to join Belinda and have an easier life so you can focus on delivering your service? We provide ALL your online content! People buy from people and a Words and the Bees content package gives you everything you need to put a human face on your business. Packages start with 12-16 Facebook posts and two engaging blog posts for your website every month. (*Quotes for extra services available on request). Regular ongoing content to build your business or non-profit. Find out who you’re talking to and the best way to talk to them to encourage them to take action. Every piece of content gives you the opportunity to get your name to the other side of the world in seconds. Viral content with your name all over it, who doesn’t want that kind of exposure? Develop a consistent brand voice. This will help build solid relationships with your clients which leads to their loyalty to both you and your product. Improve your presence with Google. Get. Found. First! Regular content written around identified SEO keywords and phrases will help your website rank higher in the SERPs (search engine results page). Prove yourself as an authority. Consistent, engaging and relevant articles build your credibility with your clients AND your competitors. Have a copywriter at your fingertips. How much time do you spend on those unforeseen writing tasks? Use our time, not your own! "I know where I stand each month financially and this takes one extra pressure off me when running my business." Do you want to join Tracey and cover all your content in just one monthly payment? What’s included in your monthly package? Facebook posts are an engaging combination of business updates, personal news, links to your website and relevant news from around the world, all sourced and posted by Words and the Bees. Blogs are on a subject of your choice or we can decide titles for you. Each blog comes with Google-friendly title tags and meta descriptions. Big blocks of text aren’t appealing to anyone! Two images will make your copy more attractive so people will want to read it. *Prices for extra services available on request. *carried out by an independent company. “It’s reassuring to know that however busy I get from day to day, my social media and website content is constantly updated so our audience are in no doubt that we’re there for them." Do you want to join Caroline and get on with running your charity while we keep your donors engaged with content? To ensure a quality content service, we can only have a limited number of monthly clients at any one time. If the spaces are all filled, we’ll contact you next time there’s availability. Don’t waste any more time to start building your relationship with your audience, contact us today! Can I review my content? Absolutely! All content provided comes with two rounds of edits to make sure we get it right for your audience. Our goal is to give you content you’d publish yourself but don’t have the time for, so your feedback is welcome. Am I locked in to anything? Not at all! If you find that ongoing content isn’t working for you and your business, just let us know and we’ll either adjust your package or cancel your existing service. We do ask that you give a month’s notice so we can line up another client to take your spot. What happens if I don’t like something? Facebook posts are scheduled in advance and blog posts are approved by you before publishing. We’ll never publish anything without your approval and as all content is given with two rounds of edits, if there’s something you don’t like, we’ll change it, simple! Definitely! If you have an SEO strategy and you know which keywords and phrases you want to rank for, just let us know and we’ll write our copy around them. If you’d like us to do a bit of research in this area, extra charges will apply. Once you decide to get started, we’ll issue an invoice for your first month. Payment is by direct deposit and your billing date is the same day every calendar month until you tell us otherwise. Yes and no. There’s a thorough briefing process which is where we’ll get to know you and your goals. For Facebook we recommend sharing the ‘day-to-day’ of your business so you’ll need to send us content relating to that. Otherwise, you can have as much or as little involvement as you like. If you’re ready to start building relationships with your audience with an ongoing content package, we can get started straight away. We’ll assess your website and existing content and make recommendations. We’ll then send you a formal proposal so you’re clear on what you’ll receive. All monthly content begins with a thorough briefing process either face-to-face or via email. We’ll need access to your Facebook business page, and then we can make a start. Choose from our standard content package which includes Facebook posting and blogs for business, or we’ll design a unique content package to suit your requirements and budget. Call Jo on 0422 053 199 for more information on how you can build a monthly content package to turn your online audience into friends and family. Ready to make a start? Click ‘GET STARTED’ to join us today!